The broadcasters appeared live from Windsor Castle in the run-up to the event. 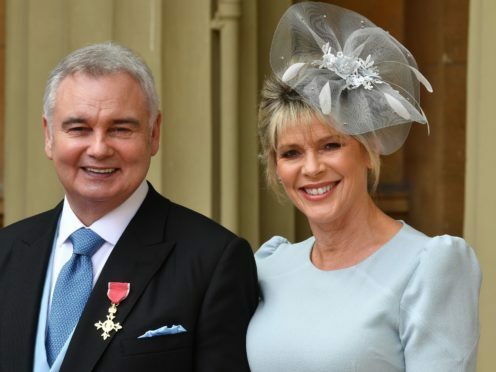 Langsford said: “I’ve been practising… Eugenie, Eugenie,” but her husband told her that was “completely wrong”. He added: “There’s no doubt it won’t be the same amount of audience or crowd that Meghan and Harry had but there’s still a lot of love and a lot of interest. “Apart from watching This Morning,” Langsford said of the ITV extended special. Langsford said the blustery weather was playing havoc with her hair. “Already it’s all over the place but we’re hoping the wind might drop a little bit before the bride arrives,” she said.